The Bloomsbury hotel’s Coral Room salon bar, on Great Russell Street in London, provided the elegant setting for Greyfriars Vineyard’s latest launch, a limited edition non vintage Blanc de Noirs, which is the second sparkling wine in their Prestige Cuvée range. The Bloomsbury hotel’s Coral Room salon bar, on Great Russell Street in London, provided the elegant setting for the Puttenham vineyard’s latest launch, with owner Mike Wagstaff and his team showcasing the Blanc de Noirs along with their new 2018 still wines. 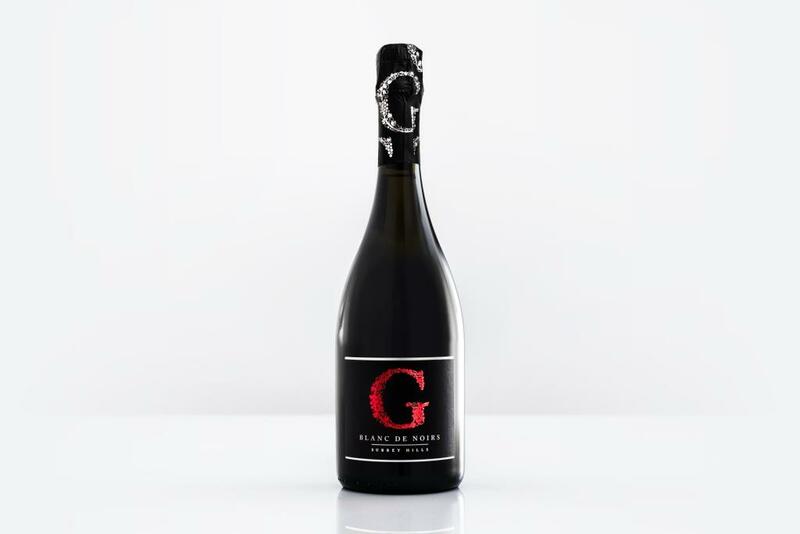 Bright, crisp and complex, Greyfriars’ Blanc de Noirs is limited to only 3,800 individually numbered bottles and made with 60% Pinot Noir, from the 2015 harvest, and 40% Pinot Meunier, from 2014. “You always want to experiment and try to figure out what’s the best possible wine you can make from that particular year?” explains Mike of the new wine, which joins the 2018 Cuvée Royale in their Prestige Cuvée range. “The thing with Pinot Meunier in England is that it’s massively variable and in most years it’s not very exciting on its own. Having constantly searched for new and exciting ways to grow Greyfriars Vineyard, since the family took it over in 2010, Mike and his team always have projects hidden away in their chalk cellars, which are carved into the North Downs near Guildford. “Usually, each year, we try one or two small batches of something different,” says Mike. For those new to the vineyard, Greyfriars spans more than 40 acres over two sites on the North Downs in the Surrey Hills. As well as some 62,000 vines, it features a state-of-the-art winery, a 3,500 square foot chalk underground cellar and outdoor amphitheatre, a shop and tasting facilities. The team at Greyfriars follow a grape-to-glass model, with all aspects of production from grape growing to winemaking to direct sales taking place at the Surrey Hills site. This summer, Greyfriars will be joining Albury Organic Vineyard, Denbies Wine Estate, High Clandon and Chilworth Manor to officially launch their Vineyards of the Surrey Hills collaboration with a weekend of festivities over Saturday June 8 and Sunday June 9. To coincide with the launch, Greyfriars will be hosting two events: an open day from 10am to 4pm on Saturday June 8, which offers the opportunity to taste your way through their range and take a tour of the vineyard, and then, on Sunday June 9, they will be running a cellar door opening and afternoon tea at the vineyard from 10am to 5pm. Check their website for the latest updates. If you haven’t had a chance to taste their delicious English sparkling and still wines yet, then these would be the perfect opportunity to enjoy them in the picturesque vineyard where they are grown. Found in a beautiful location on the southern face of the Hog’s Back between Farnham and Guildford, Greyfriars Vineyard is very much a family affair. Mike and Hilary Wagstaff took over the 25 year old vineyard in 2010 and have extended it from the original one and a half acre site to over 40 acres.